A view of the Indiana 45 & 46 bypass around the north side of Bloomington from the Arlington Road (Old Indiana 46) overpass. The bypass was first built in the 1970s to reroute Indiana 46 from central Bloomington. Until then, the highway followed Arlington Road from the northwest to Walnut Street (then Indiana 37). The highway followed Walnut Street south to Downtown Bloomington where it turned east onto 3rd Street. The bypass allowed for the highway to go from Indiana 37 around the north and east sides of Bloomington to the point where it rejoined 3rd Street. Indiana 45 was routed along Indiana 37 to the west and Indiana 46 to the north later. Photo taken by Thomas Decker (08/02/09). Indiana 46 goes for 154 miles across the South Central part of Indiana. The highway currently begins at the intersection with U.S. 40 (Wabash Avenue) in Terre Haute and heads toward the southeast past the towns of Riley and Bowling Green. The highway then intersects with U.S. 231 & Indiana 67 in Spencer to become a major highway to the southeast into Bloomington, where it intersects with Indiana 37 (the future Interstate 69). 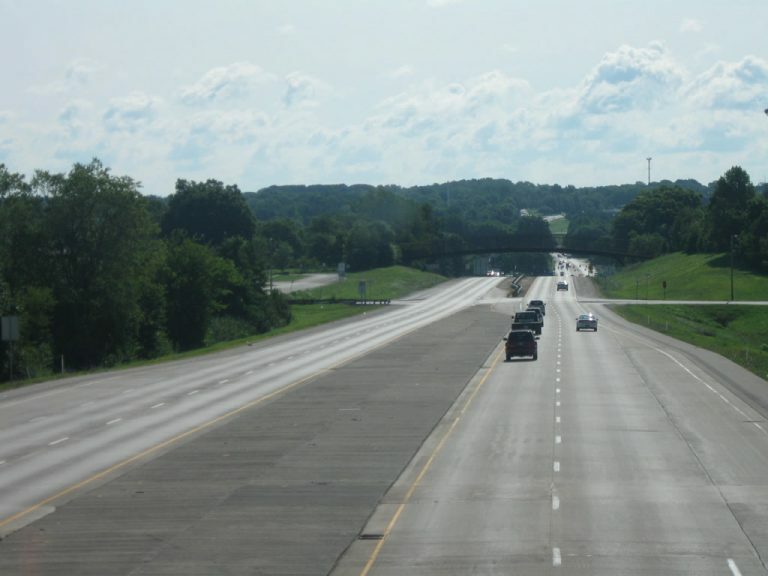 The highway then forms an important east-west road from Bloomington to Columbus, where it intersects with Interstate 65. East of Columbus, Indiana 46 heads northeast to Greensburg where it follows the path of Interstate 74 east past Batesville to its eastern terminus with U.S. 52 west of the Ohio border. Heading south on the exit ramp from Interstate 65 at Exit 68. Guide signs direct traffic heading toward Nashville and Bloomington to Indiana 46 west and for Columbus to Indiana 46 east. Note the Brown County State Park sign with the misaligned "y" at the end of the word County. Photo taken 05/08/11. A close-up of a sign at the intersection of Indiana 46 and Indiana 135 north in Nashville, with the two main control cities of Bloomington and Columbus. Photo taken 06/01/10. A close-up of shields of Indiana 46, Interstate 65 and Indiana 135 at the intersection of Indiana 46 and Indiana 135 north in Nashville. Photo taken 06/01/10.